Tuesday was crazy! I had some appointments and then ultimately had to buckle down and study for a biology exam. I’m happy to report that I got 99%! This was shocking because I was completely distracted every time I tried to read anything in those chapters on metabolism. Something stuck, apparently. 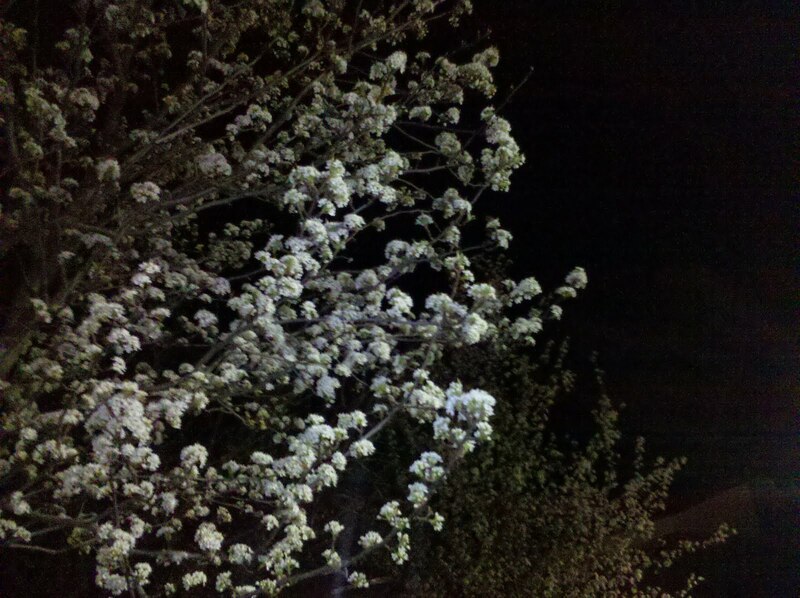 Anyway, after I completed my exam I walked outside and saw the white blossoms on this tree glowing under the streetlamp. It filled me with such a sense of peace, I decided it would be my Droid photo of the day.